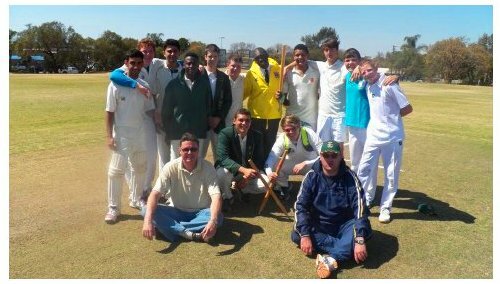 Nine Louwtjies were selected at the District Cricket Trials which took place at Louis Trichardt High School Friday, September 12. 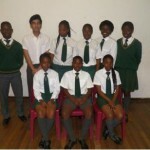 Of the 10 Louwtjies who went to the trials, 9 went through to the next round. 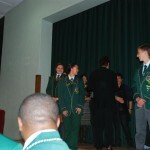 This is a fantastic milestone for Louwtjie Cricket! 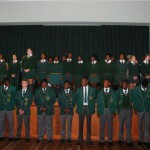 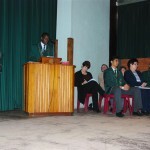 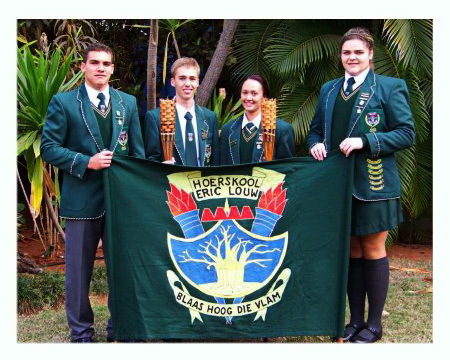 Eric Louw’s Orators To The Fore! 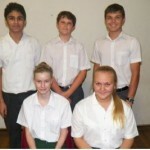 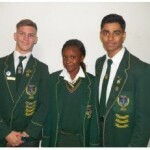 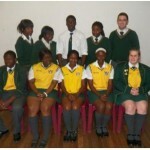 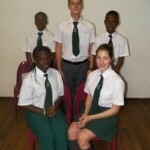 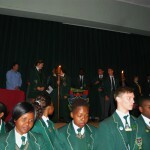 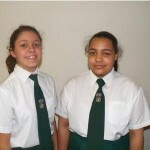 The school is immensely proud of Dinéy Fielding, Jannemari Fourie and Daniel Nthambeleni. 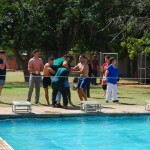 The Louwtjies bowled first and skittled their opponents out for just 38 runs. 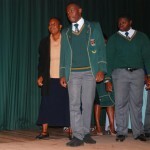 This is a great performance if one considers that Capricorn has about 1300 pupils and Eric Louw High School only 411 students in the school. 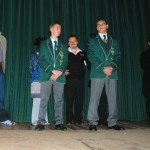 Coenie Strydom showing his mettle, toppled 5 wickets for 17 runs and was named bowler of the match. 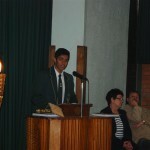 Ravi Vansia was named batsman of the match with 18 runs. 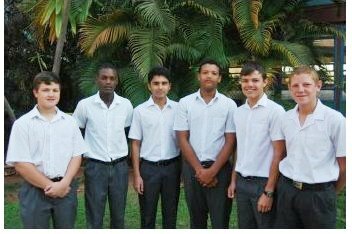 Other bowlers who shone were; Kuru Vansia; 1 wicket, Jan-Karl Limbach 2 wickets for five runs and Ravi Vansia 2 wickets for 8 runs, performing not only as top batsman, but also as strike bowler. 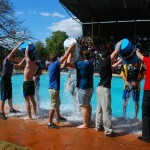 Just after the tree-planting, the assembled school got together at the swimming pool to witness the dousing of 9 brave souls, who had volunteered to participate in the Ice Bucket Challenge. 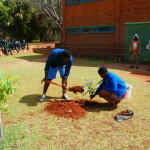 This was done in aid of the J9 Foundation, named in honour or Joost van der Westhuizen and his position as a ‘Bok, – scrum half. 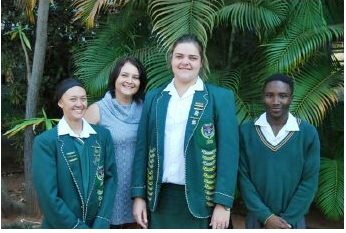 In addition to two pupils from each grade, Mesdames van Staden and Coetzee had put their hands up in support of this extremely worthy cause. 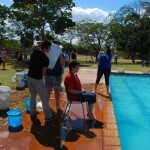 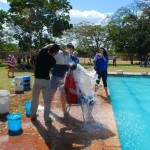 Inevitably, the event ended up with various willing and unwilling participants having a dunking in the pool. 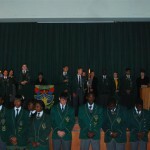 The event ended of with a spirited rendition of the School Anthem. 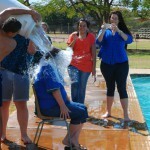 To educate the public about Motor Neuron Disease and its effects on both the sufferer and their family. 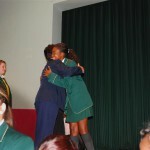 To educate and raise awareness among medical practitioners and nursing staff, to enable them to make earlier and correct diagnoses, leading to better emotional and physical care of a patient. 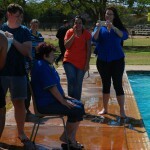 To host unique interesting fund-raising events with the intention, fistly of raising funds and secondly to be of such a newsworthy nature that media attention is triggered anhd which will contribute to raising awareness of this dreadful, debilitating disease. 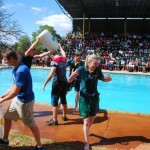 Eric Louw’s event certainly did this! 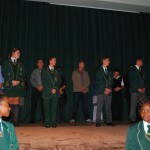 Congratulations to all of the participants. 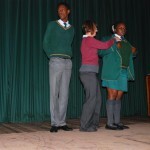 You’re stars! 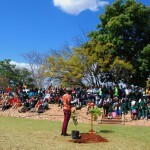 The entire school assembled on the terrace above the tuck shop on the 3rd September, for the symbolic planting of a tree to celebrate South Africa’s National Arbor Day. 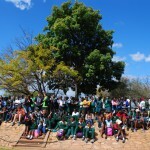 Mudzunga Nesindande and Matthew Ngwenya spoke earnestly of the importance of trees for our well being and the need to conserve and extend our nation’s forests. 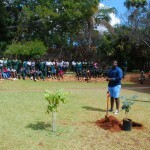 Walter Nesindande was in charge of the ceremony and also gave a short speech on why we celebrate Arbor Day. 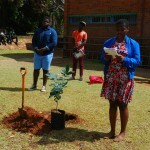 Mudzunga and Walter did the actual planting of the tree chosen, a rooi essenhout, which, though not the National Tree of the Year (the Lavender Tree), was chosen and donated by Mr. Fick, to replace the tree which had previously been planted at the spot, as it is much faster growing and in just a few years time will be affording shade for the pupils of Eric Louw as they enjoy their tuck. 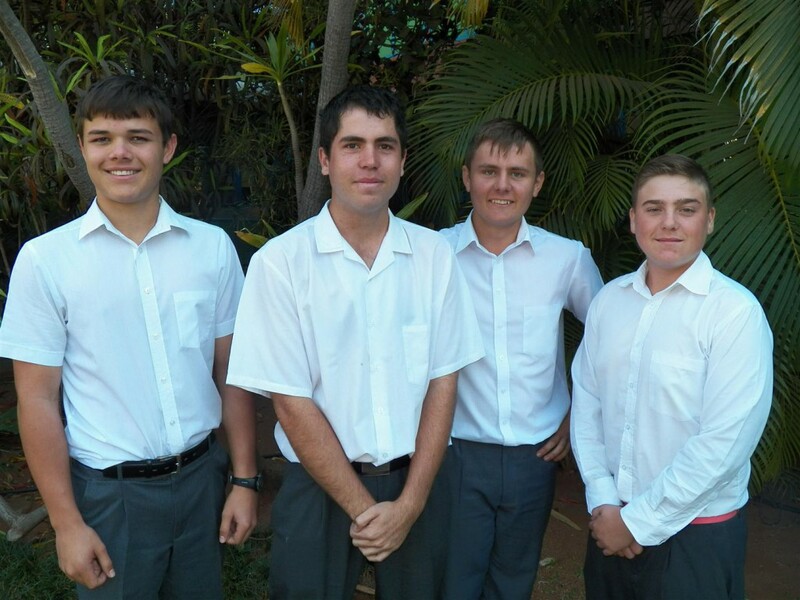 On Friday, August 1, the Louwtjies participated in the Golf Interhigh at Merensky. 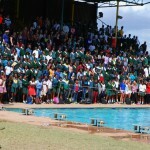 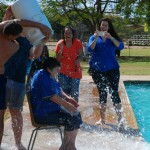 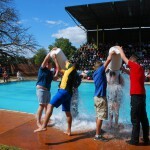 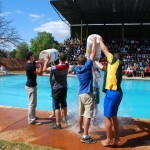 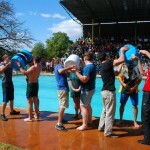 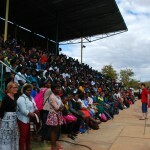 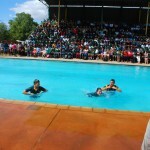 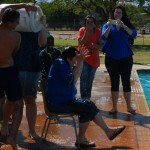 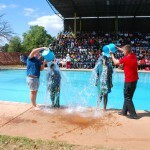 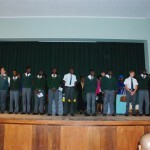 Schools that took part were PHS, Tom Naude, Eric Louw, Louis Trichardt, Stanford, Merensky, Ben Vorster, Frans du Toit. 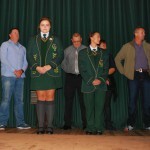 The Louwtjies managed a 3rd place win with PHS in the first place and Frans du Toit in 2nd place. 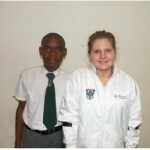 Group 5 VUP Musina-Community Safety donation of reflective vests to Eric Louw High School. 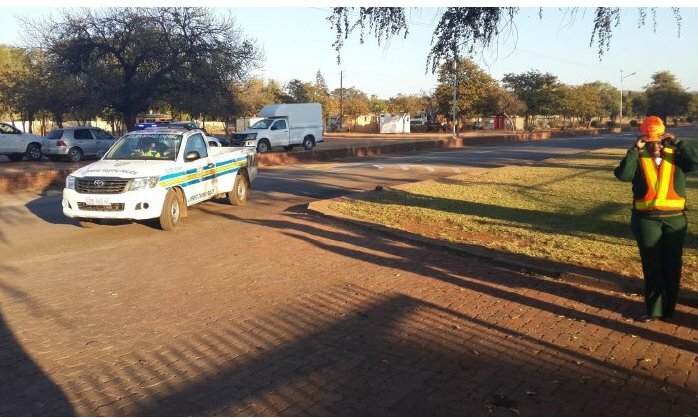 The Group 5 Venetia Underground Project was approached on 23 July 2014 by the Limpopo Provincial Traffic Department to donate reflective vests to Eric Louw High School to be used at the pedestrian crossings. 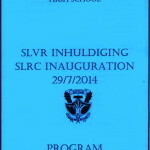 (The images may be viewed full-size by clicking on them). 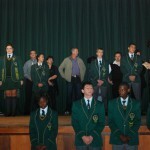 On 23 July 2014 Group 5 handed over 6 reflective vests to Eric Louw High School as a part of a community safety initiative. 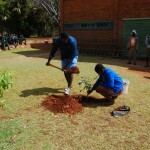 Group 5 also assisted the school in establishing their gardens in front of the main entrance. 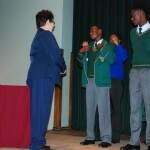 On 29th July, the new prefects making up the Student Leaders Representative Council for 2014/ 2015 were named and awarded their blazers and badges at a ceremony in the school hall, attended by their parents, the students of the school, and the staff. 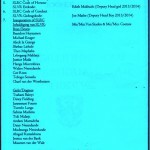 Click on the images twice to enlarge them. 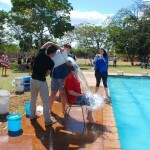 At the end of this post is a link to a full gallery of all of the photos I took. 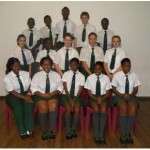 I hope I didn’t miss anyone! 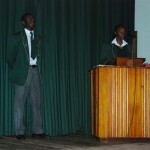 As per the programme above, proceedings started with the inauguration of the Hostel Prefects, followed by the current deputy head girl, (Edith Makhado and deputy head boy (Joe Mathe) reading the SLRC Code of Honour and Code of Conduct respectively, for the incoming school prefects. 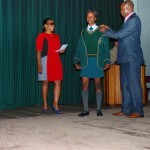 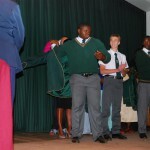 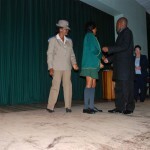 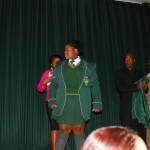 The boys, on having their name called, took to the stage first with their parents or sponsors and received their blazers and signed the 40-year-old Prefects Register. 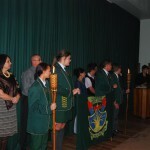 Next was the turn of the girls, who performed a similar ceremony. 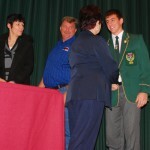 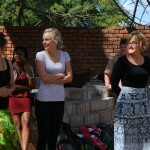 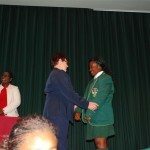 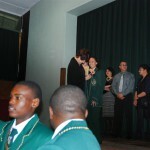 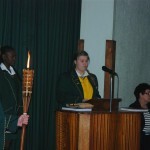 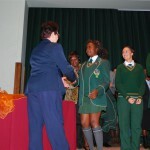 The Principal, Mrs. Coetzee, congratulated each pupil. 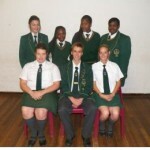 All of the new prefects are named above. 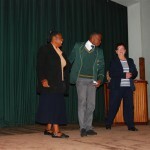 Finally, two boys and two girls were called back to the stage and Mrs. Coetzee named the Deputy Head Boy and the Deputy Head Girl. 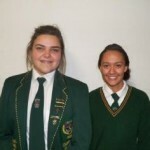 Which revealed who would be the Head Boy and Head Girl for 2014/ 2015. 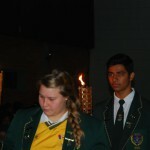 To close the proceedings, the erstwhile prefects handed over the symbolic flames and banner to the incumbents, followed by Madelé Thiart and Kuldeep Jadeja giving their valedictory speeches, to close off their terms as Head Girl and Head Boy. 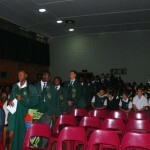 The assembly then rose for the singing of the School Anthem. 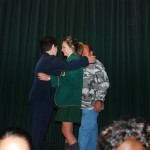 Wild congratulations then ensued. 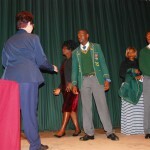 Sincere congratulations from Dumelang! 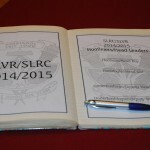 Musina to all of the new members of the SLRC and best wishes for the year ahead.